Is anything more important than the words of Christ? These special words often come in red letters in our Bibles to make them stand out! Yet sadly, these important verses are often eclipsed by other topics when we teach the Bible to kids. 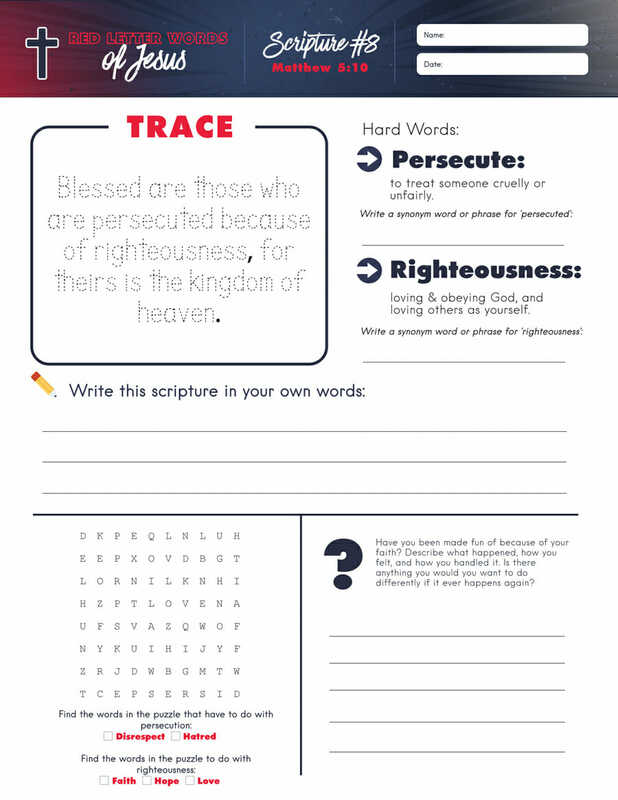 Our Red Letter Words of Jesus Worksheets were designed to help kids understand what Jesus really said and apply it to their lives. On each page, one critically important Bible quote from Jesus' teachings is studied. Using various activities & approaches, the worksheet guides children through a "deep dive" to ensure they really understand the chosen verse. Each worksheet takes kids between 10-15 minutes to complete depending on their age & abilities- so they are perfect to mix into any lesson! 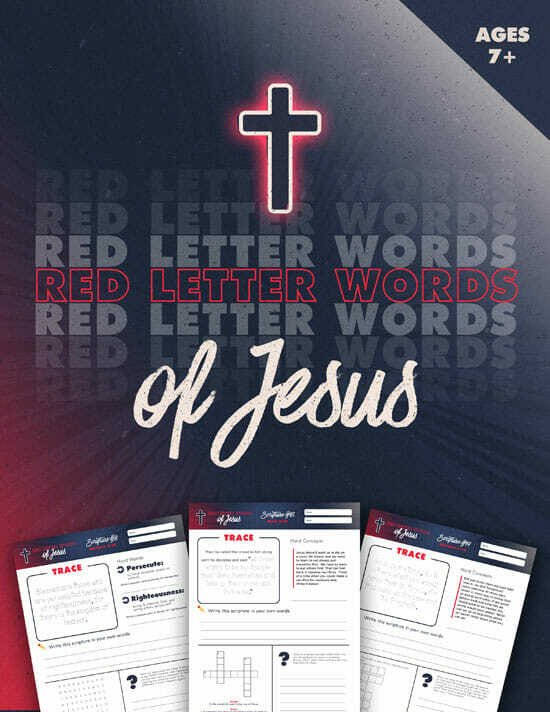 Inside you will find 25 Red Letter Words of Jesus Worksheets- just like the one above! 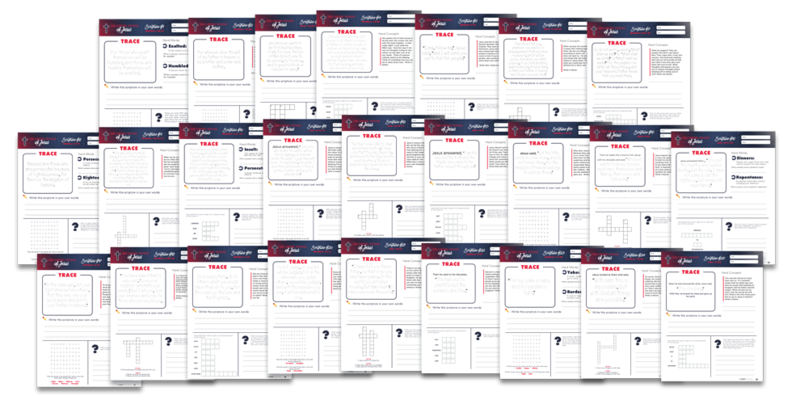 Each red letter verse has it's own one-page activity sheet. As soon as your order is securely processed, we’ll direct you to a download area, where you can get instant access to all 25 Red Letter Words of Jesus Printables. Print out the worksheets on your home, office, or church computer in just minutes! Kids (& grown ups) find these sheets to be remarkably helpful learning tools to deepen their understanding of Christ’s words. 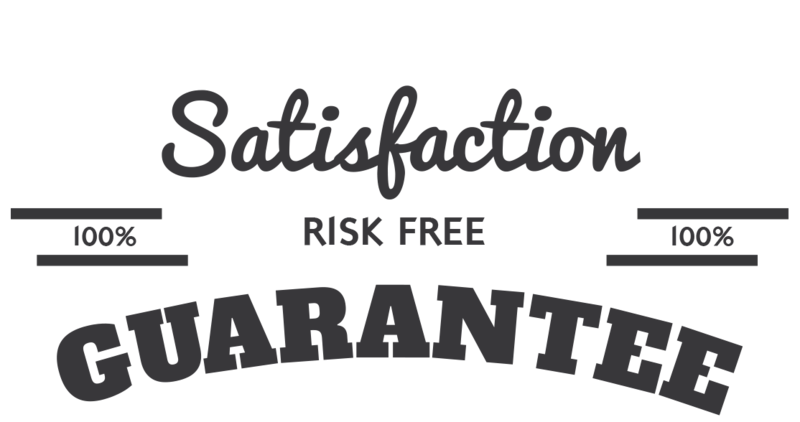 We are so sure that you will love the Red Letter Words of Jesus Package that we are offering an unconditional 100% money-back guarantee.